We’ve got a busy day, so I hope you ate your Wheaties! Except, when you think about it, Wheaties aren’t chocolate, so they are really not an appropriate choice for Wednesday. I’m sorry. It looks like dog kibble. And much as I love my dogs I do not wish to share their breakfast. Not to mention, that doesn’t look anything like real chocolate should look. I tried to go the truly healthy route with cereal, but I just can’t do it. Ah! That’s MUCH better. Now we’re ready to get down to business! Now, onto today’s Would You Read It. Phew! Anyone need another Snickers? Today’s pitch comes to us from the lovely Elaine, who we met in April with her pitch for Giant At The Gym. In case you don’t remember her, Elaine is a Mom of two, wife of one, mom to three furry kids and second grade school teacher. Please send YOUR pitches for the coming weeks! For rules and where to submit, click on this link Would You Read It or on the Would You Read It tab in the bar above. There are openings in August which isn’t that far away, so we’re about ready for some new pitches! Send yours for your chance to be read by editor Erin Molta! Zombie cows and mummy librarians? Yes, of course I'm in. 🙂 Love the book and here are some of my ideas for the pitch. You have “bored” twice in the same sentence. I would take it down to one and would even think about if you can cover the concept without the word “bored” which as a teacher and mom i cannot stand! (Even though I realize that is your point of course). Also, I was a little confused about looking down instead of up but then saying the story was partly about the moon and it following kids. I might start instead with something like “did you ever think the moon was following you?” I think “popular childhood experience” might be too strong for this concept–I had to really think about it before I realized what you were talking about. I also love the last line because it leaves a lot to the imagination, but again, it took me a minute to decipher. So, without being long-winded (too late!! ), I love this but might rearrange it so that the zombie cows and sinister-sounding moon take center stage. Thanks! I'm a maybe on the pitch. It sounds interesting, but I feel like I'm not totally sure what it's about. It's sounds a bit magical, which I love, but then she says humorous, which I'm not getting from this pitch. And the things about the moon following them at the end, that's not what I was expecting at all from what she described at first. So, yeah. I think it has major potential, but maybe just tighten it up a bit. 🙂 Good luck! 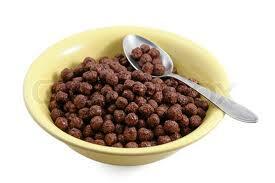 Susanna – I'm with you on the chocolate cereal, but I husband just adores Reeses Cocoa puffs. He just can't get enough of them! Sian – Congratulations on your pitch! Elaine – Your story sounds promising, but I was a bit confused by the pitch. The title of your book is “The Chase” but I didn't really understand who or what is being chased. Still I love the idea of having zombie ice-skaters and pirate cows. You have a lot of great potential for some really fun illustrations! Yes. I definitely like the idea of the excitement unfolding around him. 🙂 And Snickers? No doubt we are kindred spirits, Susanna! I would read it…although I think I might have left off the last sentence. Too busy chasing the moon, [Name] misses it all. Pirate cows. Zombie ice skaters. Mummy librarians. If only he looked around…instead of UP. Very excited to have won the May Pitch Pick – yay! Thanks for voting for me. Yeah… I'm afraid I've never really been able to get on board with the whole chocolate cereal thing. It just isn't chocolatey enough 🙂 Thanks for your comments for Elaine! Congratulations again, Sian! 🙂 and thanks for your comments for Elaine! The book sounds hilarious and yes, I'd read it! I agree with Catherine that the pitch should end with “up.” That last sentence is confusing and unnecessary.